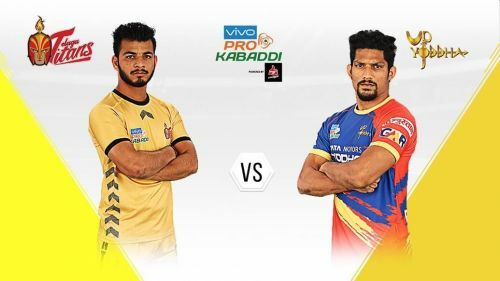 Telugu Titans is undoubtedly one of the most popular franchises of the Pro Kabaddi League and that fact can be acknowledged at the ongoing home leg of the team where thousands of fans turn up at Vizag irrespective of the team's performance. Despite having the poster boy of PKL, Rahul Chaudhari in their team the Telugu Titans have failed to even make it to the final even once. Their best performance has been a third place finish and given the talent in their team, they certainly deserve a better position. In the Zone B points table, Bengaluru Bulls seemed to have locked their play-off position as they have 59 points to their name in just 17 matches. 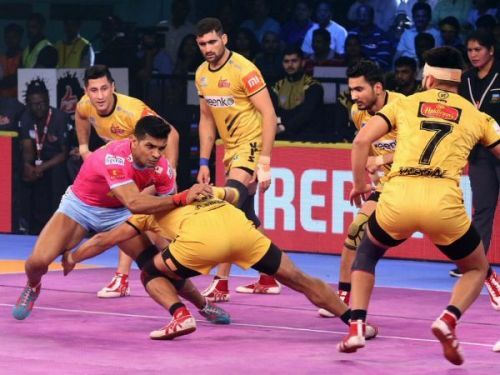 The second and third positions are wide open with Bengal Warriors, Patna Pirates and Telugu Titans being the top contenders for the 2 positions. Patna Pirates are 7 points ahead of Telugu Titans but have played one match more than the Titans. The maximum number of points that Patna could have at the end of group stage is 76. While, the maximum number of points that Telugu Titans could have at the end is 74. On the other hand, fifth and sixth placed teams UP Yoddha and Tamil Thalaivas are almost out of the race with just 34 points each. UP can have a maximum 59 points by the end of league while Tamil Thalaivas can only have 54 points. So, these two teams may not be causing troubles in Titans' road to play-offs. For Telugu Titans to make it to the play-offs, they need to win their matches against the Patna Pirates and Bengal Warriors as they are their prime competitors. Losing against any of the two sides would give their rivals the upper hand in the race. Bengal have to still play their home leg and a lot will depend on their performance at Kolkata. Vizag should concentrate on winning all the 3 matches of their home leg and win 1 or 2 of the remaining 3 games to seal their play-off spot. A third place finish is likely for the Telugu Titans in the Zone B. However, if they fail in their home leg, their wild-card match against Puneri Paltan and the last match against the Bengal Warriors would become do or die for the Vishal Bhardwaj led team.